The Hardys shocked the wrestling world last Friday when they dramatically appeared in the ring at sold-out Manhattan Center’s Hammerstein Ballroom and went on to win the ROH World Tag Team Title from The Young Bucks in an impromptu match. It has since been announced that Matt and Jeff Hardy will defend their newly won title against The Young Bucks and Roppongi Vice in a Triple Threat Vegas Street Fight at the ROH 15th Anniversary pay-per-view Friday, March 10. The following night in Las Vegas, The Hardys will take on The Briscoes in a dream match that will be for the championship if The Hardys retain at Anniversary. Matt Hardy granted an exclusive interview to ROHWrestling.com to discuss The Hardys’ arrival in ROH, their matches this weekend in Las Vegas, and more. ROH: You and Jeff already had a match with The Young Bucks signed for Supercard of Honor on April 1, so why did you decide to show up at Manhattan Mayhem last Friday to challenge them to an ROH World Tag Team Title Match that night? MH: It was just the time. I told Vanguard 1 the Seven Deities have said it is time to teleport to the honorable ring and procure the ROH Tag Team Titles of the World. It was not my decision; it was something bigger than me. The day of deletion had arrived for the Bucks of Youth. We just had to follow through with the action we were mandated. ROH: Can you describe what it felt like to be in that moment when the lights came on and the fans discovered you and Jeff standing across the ring from The Young Bucks? MH: Oh, indeed, it was absolutely magical. Every single iota of energy in that building was channeled to us in the ring. It was very, very incredible. It was one of the highlight moments of my career I would say. ROH: Fans have access to so much information these days that it’s very hard to surprise them anymore, yet you’ve been able to do that multiple times now. MH: The most important thing in the professional wrestling industry in this day and age of technology and the Internet and social media is to be able to make wrestling unpredictable. We were very happy we were able to do that, and it’s one of the things I take a lot of pride in, along with my universe. I do all that I can to surprise people and make things unpredictable because that is what makes wrestling fun. Matt Hardy may be dysfunctional, but you can’t spell dysfunctional without fun. My goal in the professional wrestling industry is to put fun into the dysfunctionality of it. ROH: You and Jeff are blazing your own path in wrestling right now with your “Expedition of Gold.” Talk about the impact you’re having on the industry. MH: Something very rare in this day and age is to see performers do something that has never been done before. To see a tag team go on a conquest -- an “Expedition of Gold” -- and go to various promotions all across the world and win titles is something new. Everything my universe is and everything that created it and allows it to exist depends on surprise and you not being able to guess what the next move is. It’s something we will continue to do. The surprises are only beginning. 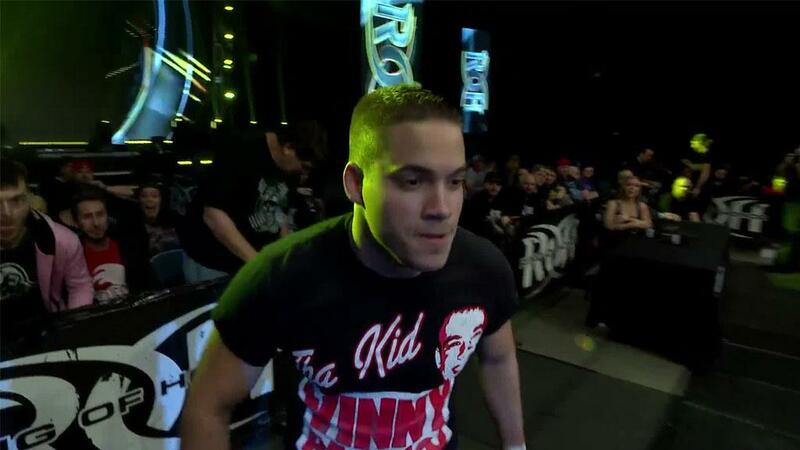 ROH: You’re certainly no stranger to Ring of Honor. What is about ROH that keeps bringing you back? What sets ROH apart from other wrestling companies? MH: Ah, yes, my mortal vessel has had a couple of runs in the Honorable Ring before I made my return in New York City. Something I’ve always enjoyed about ROH is that they’ve really stripped wrestling down to its true essence. In its essence it’s great athleticism and storytelling and that is what they do better than anyone else. They’re mantra of being the best wrestling on the planet is very true to form. ROH truly does pro wrestling in a modern form better than anyone else right now. I am a wrestling fan still at my core because I inhibit this vessel, so that makes me love ROH. ROH: It’s fair to say that ROH has the most talented tag team division in the sport. Let’s get your thoughts on some of your top challengers, starting with the former ROH World Tag Team Champions, The Young Bucks, whom you and Jeff will face in a Triple Threat Vegas Street Fight also involving Roppongi Vice at the ROH 15th Anniversary pay-per-view. Do they remind you of a young Matt and Jeff Hardy? MH: Ah, yes, they do, especially when you look at their style and their clothing. When we were in our mortal vessels we were spot monkeys as well. I’m going to allow my brother to indulge in his spot monkey addiction for one night only this Friday night in the Street Fight. We will bring tables, ladders and chairs, all inanimate objects the Hardys made famous. ROH: What do you know about Roppongi Vice? MH: I am very, very familiar with Roppongi Vice. I’ve had Vanguard 1 do many, many reports on them. I know they are a very established and “ovah” tag team in the New Wrestling in Japan. They are two very talented individuals who can wrestle, they can fight and they can also be spot monkeys themselves. They have the complete package. ROH: In Las Vegas the night after Anniversary, the Hardys will face the Briscoes, the most decorated tag team in ROH history, in an ROH ring for the first time. 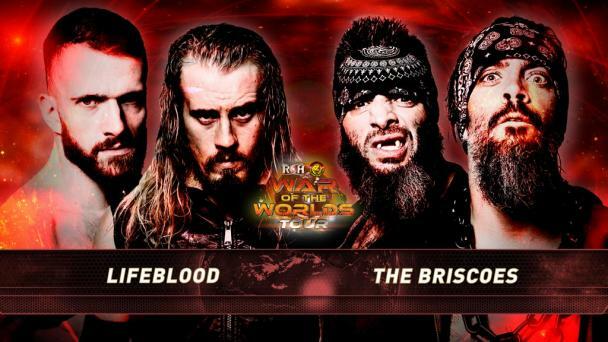 What are your thoughts on Jay and Mark Briscoe? MH: These guys are very tough. They are very in-your-face, throwing powerful strikes and blows. They are very, very tough for being mortal men. I know Jay Briscoe has a very, very old soul. His brilliance has not been unlocked, but he definitely has an old soul. So when we face these guys it will actually be two true sets of blood brothers facing one another, so we are very excited about this contest. ROH: Any final words for your universe? MH: Yes, all my loyal soldiers all across the universe, across all the galaxies and all the universes, be prepared because the most wild thrill ride that you’ve ever embarked upon is getting ready to start. It begins Friday night at the Honorable Ring in the City of Sin in Las Vegas.